J.A. 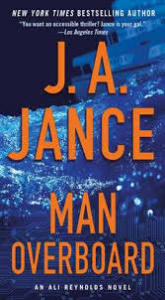 Jance has a huge number of titles in her back catalogue, but this is the first one I've read. I'd characterize this as a pleasant, well-managed beach read. It has no intrusive romantic sub-plot (there are hints that the main character, Ali, and her husband had such a plot in the past, but this is book #12 in the series and their established relationship takes up little to no room in the narrative). In fact, two subsidiary characters in their company, computer nerd Stuart Ramey and up-and-comer investigator Cami, have centre stage until the last moment, when Ali mounts a rescue effort that, happily, doesn't even require her to fire her gun. The plot of this novel turns on an implausible (I hope) premise: an Artificial Intelligence that develops its own moral compass and acts accordingly. The world of AI is the new supernatural for most of us ordinary mortals, so I will cheerfully go along with it (just as I go along with witches in Macbeth) for the sake of the story. Although the underlying theme of the story is a sobering one - intergenerational effects of suicides - there is nothing here either so gripping or so horrifying that it could spoil the novel's cheerful gallop towards the inevitable fate of the bad and the rescue and reward of the good. 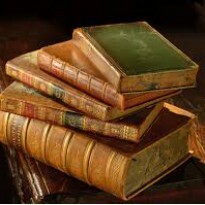 A pleasing pastime, falling in my mental classifications near to the series by J.D. Robb, though without the cloying romance aspects.